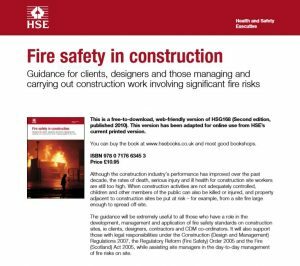 The second edition of Fire safety in construction explains how everyone involved in construction projects can comply with their legal duties relating to fire risks. It is aimed at all those with a role for developing and managing construction sites, including clients and designers, and is relevant to all construction projects, including small refurbishment sites. Much of what is contained in the guidance is not new, but the sections covering multi-storey buildings and high risk building such as timber frame have been strengthened to include lessons learned from recent fires. Each year there are hundreds of fires on construction sites, potentially putting the lives of workers and members of the public at risk. Fire safety in construction is about preventing fires from starting and ensuring people’s safety if they do. Read the full Real Homes article HERE.